Many months ago, out disk was getting full with a Purge data setting of 4-5 weeks. Then the disk was starting to get full again, and I reduced that further to a 10 days. We have not added any additional data points during this time, and the disk is getting full again. I just realized that the purge settings probably only affect the NoSQL database, but it's the H2 database that is causing us issues. Can we reset this database cleanly and start again, which I imagine will hold up well for another number of years without trouble. I have instructions for how to delete and restore the database, but that also removes the configuration settings. Is is possible to remove only the data history while keeping the configuration? What is the difference between core-database and configuration backups anyway? What configuration details do you find to be missing? What version are you on? The backup / restore is an effective way to shrink the database. No configuration should go missing. Oh sorry we are running core core 3.3.4 - MangoES. Which backup should I restore, NoSQL or SQL. I am guessing SQL, but I know restoring NoSQL could also work, or am I wrong? I have not tried to restore yet, so there aren't any other problems. There is no reason to backup, delete and then restore your NoSQL database as with the SQL database. It is only housing point values, and any shrinkage would be due to data loss. You want the SQL backup. I started an SQL restore and I am getting BWB Task Failures. WARN  2018-04-17T12:46:35,001 (com.serotonin.m2m2.rt.dataSource.PollingDataSourc                                                                                                                                                             e.incrementUnsuccessfulPolls:157) - Data Source 22nd Modbus Network aborted 1750                                                                                                                                                             37 polls since it started. Should I just hold out for some hours? edit: I should mention that the GUI is inaccessible and Mango is down as well. It could certainly take a moment. I wouldn't expect it to take hours, unless you didn't purge your events, userEvents, and audit tables - in which case it may restore back to the same size! Seems like a critical line has been omitted from that stack trace. Thankfully it came back up, but you are right, it's right back to what it was. I still need to find a way to reduce the size of this database. Unfortunately for me, I don't know how to delete those tables. Could you please recommend me some steps? I would save them to our wiki and perform them at a later time if necessary. How come the purge settings don't reduce those tables? This is unless I don't know how to read the output. I tool each row as an entry. What else could be using all this space? 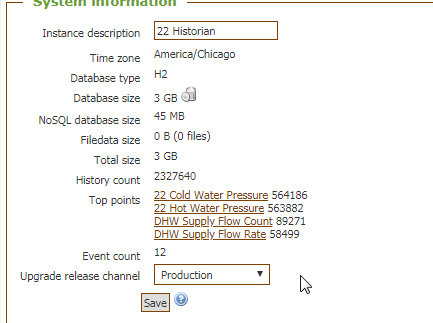 The purge does clear the events table, but it doesn't shrink the H2 database file. 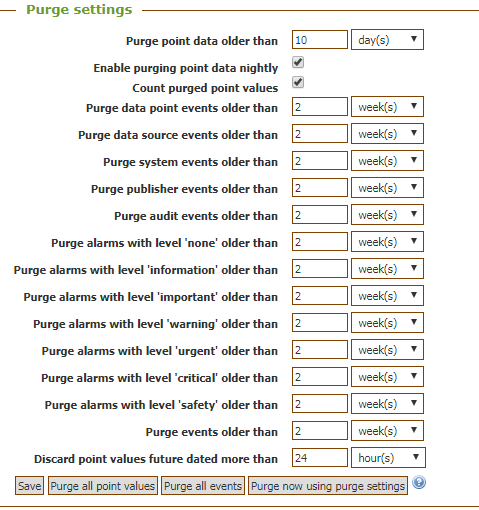 The Audit table does have purge settings, but there the 'purge all events' button in the purge settings section of the system settings doesn't clear the audit table, so use the 'purge all events' button along with running in the SQL console, delete from audit; to purge that table. If something else were taking up the space, I wouldn't wonder if you maybe booted with a NoSQL module at some point? Perhaps if you select count(*) from pointValues; you get a nonzero result? 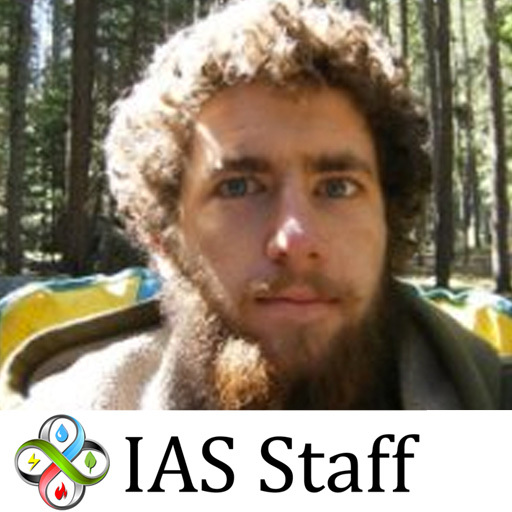 What's the output of du -sh Mango/databases/* ? Process again? Is it possible you restored into your existing database? Thanks Phil, we're back to a very reasonable database size.